Irish drugmaker Warner Chilcott is buying the pharmaceutical business of Procter & Gamble for $3.1bn (£1.9bn). The move will see Warner more than triple its annual turnover, and the firm's US listed shares jumped 26% following the announcement. 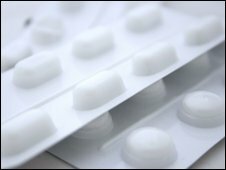 US consumer products giant Procter said it was ending its involvement in the production of prescription drugs. Procter makes everything from Gillette razors to Pringles crisps, Duracell batteries, and Fairy washing liquid. "The acquisition transforms Warner Chilcott into a global pharmaceutical company," said the Irish company. Warner is financing the deal through debt, and said the majority of the 2,300 employees in Procter's pharmaceuticals unit would simply transfer across. Analysts say that Procter said decided to exit the business because of the growth in competition from generic drugmakers. Procter's branded drugs, such as osteoporosis treatment Actonel, have annual sales of $2.3bn.